Having trouble sleeping? 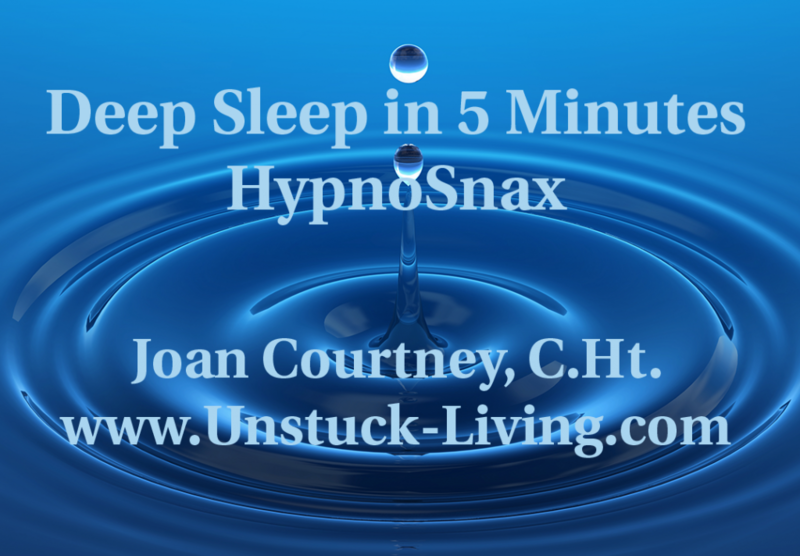 This HypnoSnax audio session will put you to sleep in 5 minutes. Why these processes work: There is a strong mind-body connection between stimulation from the gut to the brain. Are there situations where you feel anxious to the point where you can’t sleep at night? Or fear conditioned responses to people, places or certain settings? As a human being, you are wired to protect yourself. This immediate physiological response begins with the Vagus nerve, which is the longest nerve in your body. Its 17” length wanders from the brain, down through the lowest areas of your intestines touching your heart and most major organs along the way. Ever had a strong gut level feeling about something? That’s what is causing this perception. When you can’t get to sleep or feel frazzled and out of sorts during the day, the Vagus nerve has been energized. This triggers the energy for fight, flight or freeze emotions from the gut to the brain. The result? Insomnia or anxiety. This quick fix allows you to self-regulate and relax, allowing for balance within. It will put you back in control. You can drift off to sleep. You can think clearly and release anxiety. It’s all up to you.